When you are charged with a criminal offence, you need a lawyer with the experience and knowledge to fight your criminal charges. 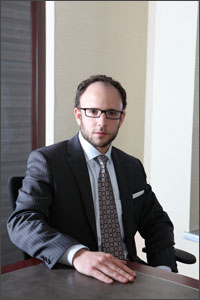 As a Toronto criminal lawyer, Morrie Luft defends against all criminal and quasi-criminal offences. He defends people charged under the Criminal Code of Canada, the Controlled Drugs and Substances Act or the Youth Criminal Justice Act. If you have been charged with any of the above offences, contact Morrie Luft for a free consultation.